1-5 Rhinestone Crown or Tiara Charm or Pendant. Beautiful Pendant. Yellow Emoji Face Beads. You choose the quantity 10-50. Yellow smiley face beads. Emoji supply beads. Emoji jewelry making supplies. We literally have 100's of different charms available. If you don't see what you're looking for, please contact us. We may have it. Feel free to convo us. We're happy to help and answer any of your questions. Items ship within 2 business days from mid-Michigan, USA. 5-20 Silver tone bird in a circle hoop charm. Adorable little bird sitting on a hoop. 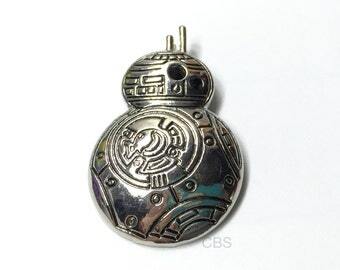 Nice charm for necklaces, earrings, and bracelets. 2-10 American Flag Charm. American Flag Pendant. Red, White, and Blue Enameled American Flag Charm. 2-10 Rhinestone Heart Charm or Heart Pendant. Beautiful. Simple. Has a Rhinestone drop center. 3/8" Organza Ribbon, Light Purple organza 50 yards spool of ribbon. Swiss Dot Ribbon, Lavender Ribbon w white dots, Purple polka dot ribbon. Faux Glass Pearls, 8mm, Pink. 8mm Pink Pearls. Soft Classic pink pears. 32" strand approximately 112 beads. 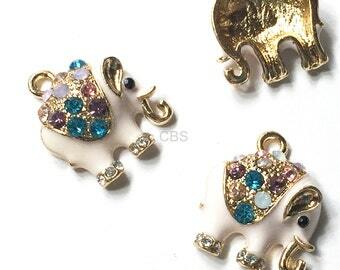 1-5 Rhinestone Pink Elephant Charms. Enameled Pink, Gold Elephant, with rhinestones. 1-100 Acrylic "Glass" Slipper Charms. You choose the quantity. High Heel clear resin shoe charm. 1-5 Pink enameled flip flop Charm or Pendant. Beautiful Pendant. 1-5 Rhinestone Moon and Star Charm or Pendant. Beautiful Pendant. 1-5 Purple Hippy Bus or Van. Enameled colored front with smooth back. Nice quality. Peace love happiness groovy baby! 1-5 Red Reindeer Charm or Pendant. High quality enameled metal charm. Beautiful Pendant. 10 Clay butterfly beads. Black butterflies. Black moth beads. Black Clay butterflies. All my purchases here have been fantastic! I love this little seal pup, reminds me of the ocean! I am donating all the proceeds to 4EAN.COM! Great experience! All my purchases here have been fantastic! I love this Volkswagen van, reminds me of my early years! The seller is awesome. Great experience! 1-5 Black & Red Hippy Bus or Van. Enameled colored front with smooth back. Nice quality. Peace love happiness groovy baby! All my purchases here have been fantastic! I love these cute seal pups! Best thing I have seen in a long time...very well made!